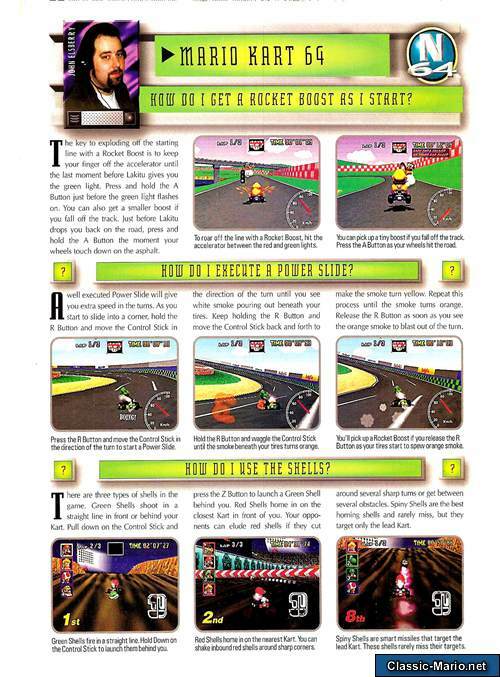 Mario Kart 64 is the sequel to Super Mario Kart (SNES) on the Nintendo 64, it features enhanced graphics compared to its predecessor with a 3D element not seen before in a Kart Racer. 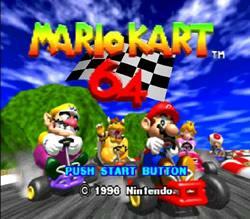 It was one of the first games to be released on the Nintendo 64. Grand Prix Mode - available in 50cc class, 100cc class or 150cc class as in its predecessor. There are eight players available to choose from including Peach, Yoshi, Mario, Luigi, Donkey Kong, Toad, Bowser and Wario, each player was slightly different in their stats - but the karts were all pretty much statistically the same. In America, Europe and Australia the "Circuits" in the race courses titles were renamed to "Raceways"
Kalimari desert is named after the South African Kalahari desert. 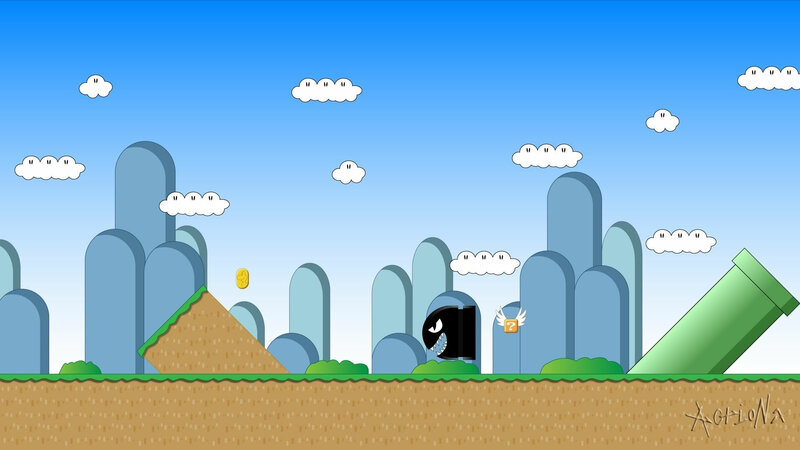 Released on Nintendo's Virtual Console service for the wii in January 2007. When released on Nintendo's Virtual Console service for the wii the flash effect from the lightning powerup was less intense so as to avoid finger pointing at Nintendo regarding seizures etc. Charles Martinet the voiceover for Mario in many a title also did the voice of Luigi and Wario. He was the voiceover for Mario in Super Mario 64 also. Some of the characters voiceovers from Mario Kart were re-used in Mario Party. Fake item boxes can block enemy projectiles! This is the only Mario Kart game where this works.